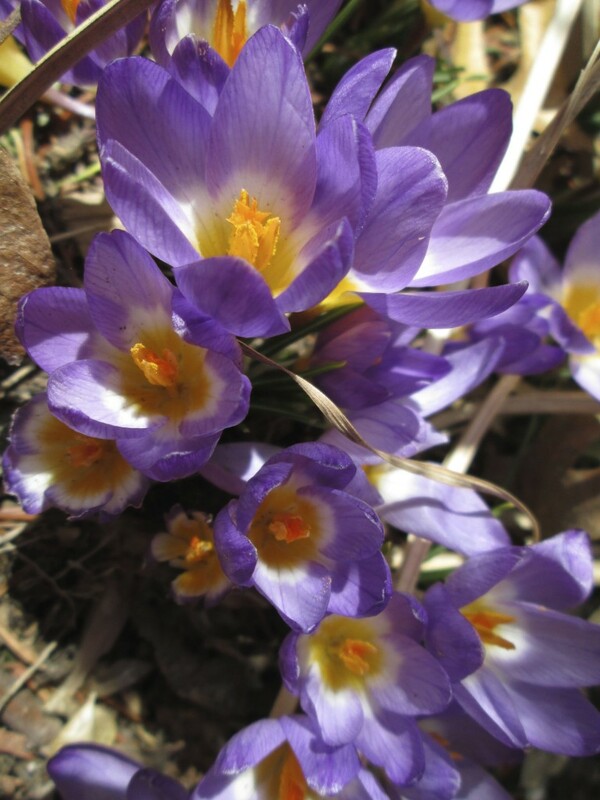 Last fall, I put in one little bag of Crocus bulbs at the base of the steps to the front door. 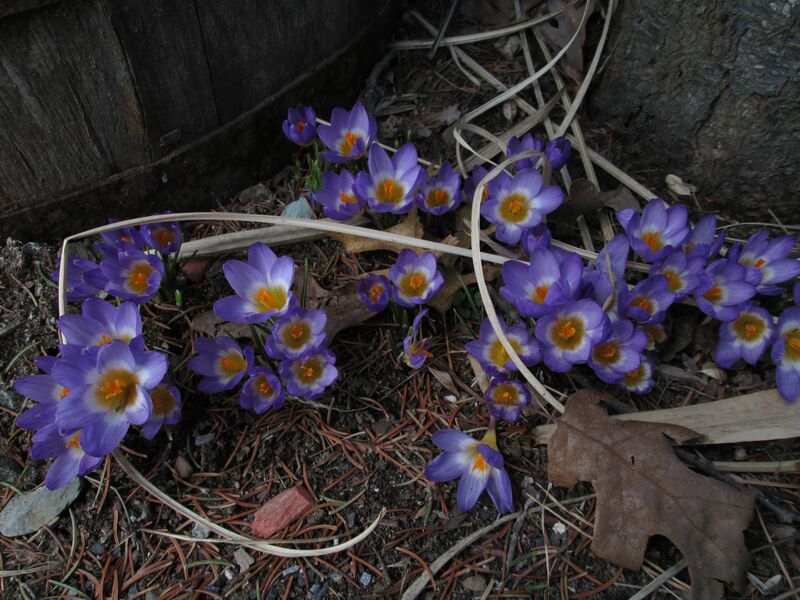 Since then, 5 feet of salt marsh tide surge waters passed over them during Hurricane Sandy…..5 feet of snow lay on top after the blizzard…and now Spring performs its magic trick and Mother Gaia’s grace is granted. On this Easter Day, take a moment among the purple, gold and white of Crocus to admire the blessing and miracle of Resurrection.